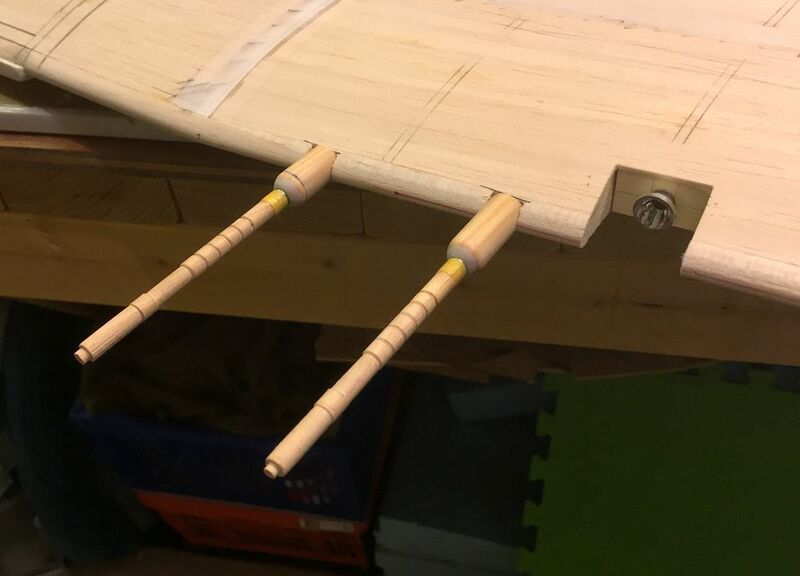 Cannon bases have now been fitted to the wing, let into the L/E at the correct angle - these will be glued in once the wing is glassed, they'll then need a little filler to blend the cylindrical dowel into the wing profile. A couple more details added before the airframe is glassed...I'm feeling a bit behind the curve now!! 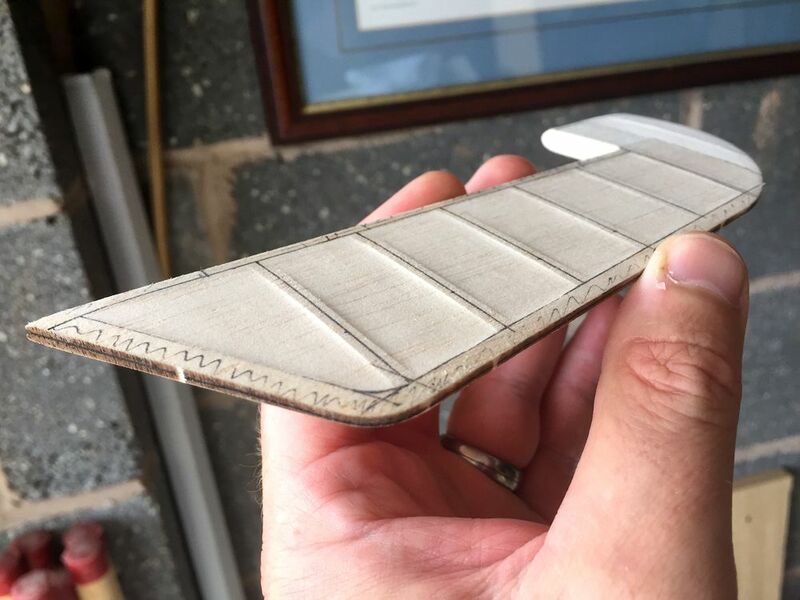 Andy Meade was kind enough to 3D print me a tailwheel - to his own 3D model - a great scale feature which I was really keen to employ. 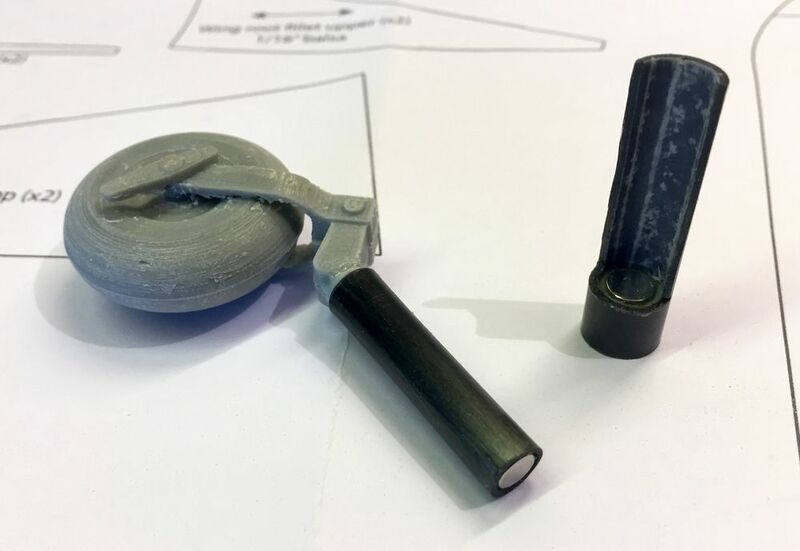 Decided to fit it with a little magnet to prolong its life on the model - so I mounted it in some 6mm carbon tube and added a magnet at the end. 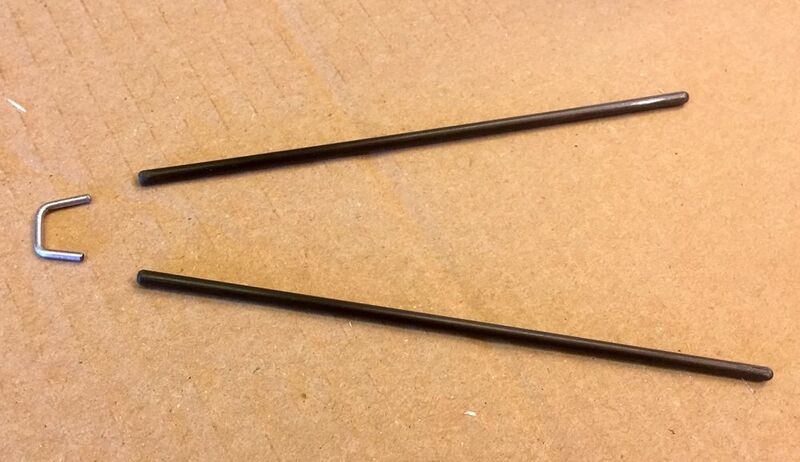 This interfaced with a mating carbon tube with a magnet fitted within its base. 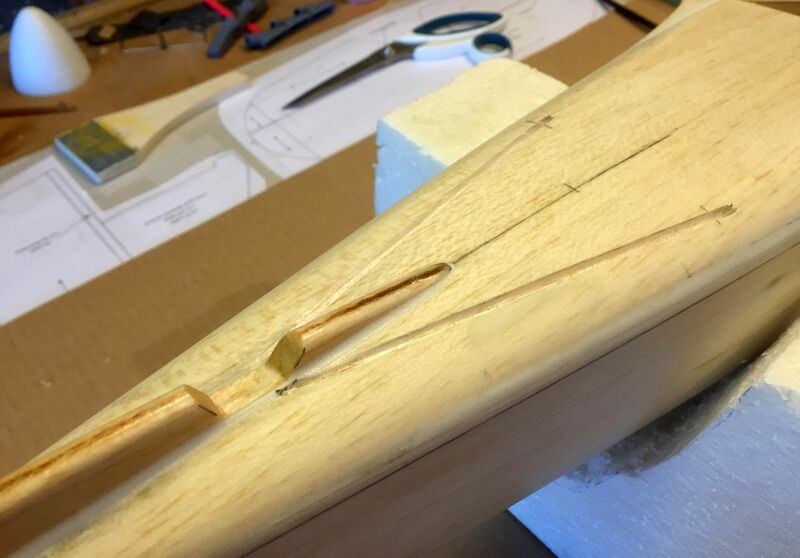 The bigger tube had most of its walls removed with the Dremel allowing the tailwheel to move rearward should it be knocked. 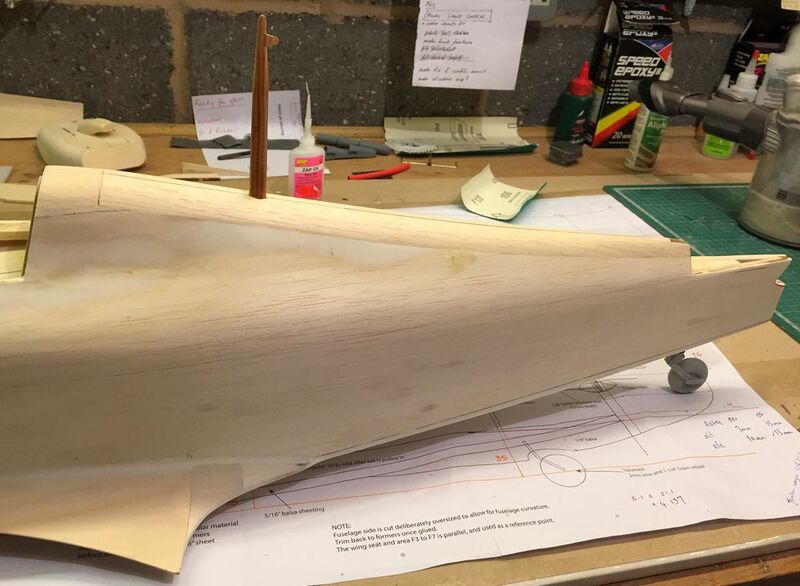 The outer section was glued vertically into the fuselage and sanded flush with the underside. Rear of that I relieved the fuselage just a little to allow the wheel to move rearward - its sort of 'sprung' loaded with the high strength magnets acting as a pivot point. Still the strake to add, which I'll attach after glass. 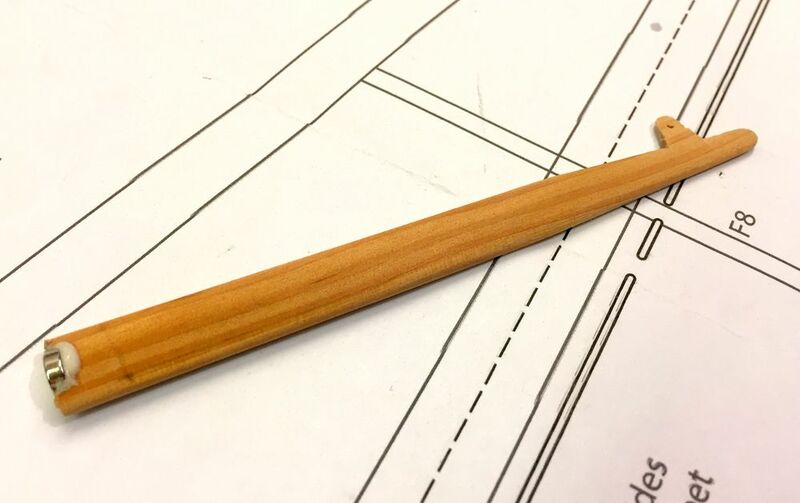 I carved a radio antennae mast from some spruce and added a 6mm magnet at the base. 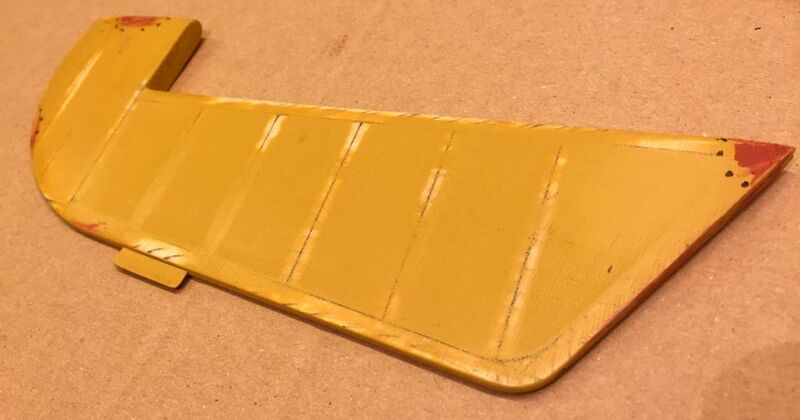 Following Bob Jennings' lead and his excellent method for recreating some ribbing effect in solid flying surfaces, I've marked up the fin, rudder and (as shown) the elevators, masked accordingly then sanded the 'fabric' covered panels in between. It's surprisingly time consuming as each panel needs to be sanded independently, by you get a superb effect which I think will look most realistic once its glassed and painted up. Thankfully the ailerons and tailplane on my Mk IIC hurricane had metal sheeted panels, so I don't have to do these parts too - I'm fast running out of time! Glass work starts this evening! I've just used some L285 resin that hadn't been opened for 4 years (so must have been 6 years old). Worked fine, so I bet you'll have no problems. yeah its all hardened very nicely - quickly in this heat we are still enjoying! More glassing tonight! 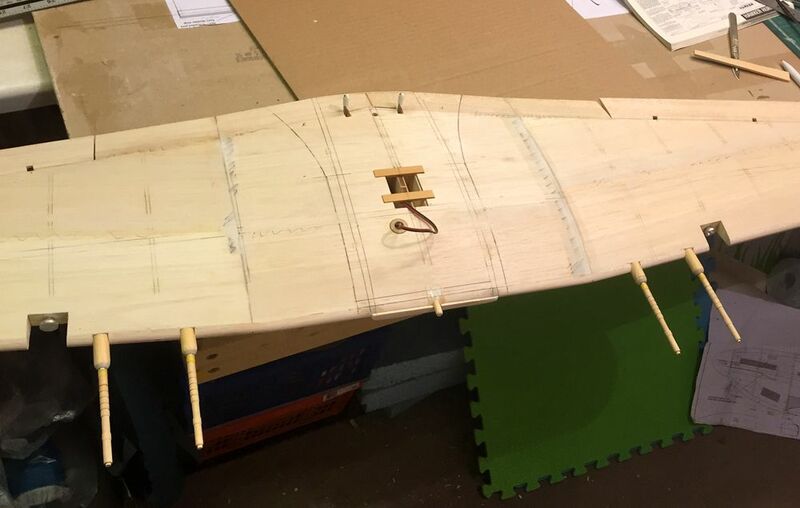 Bit of a milestone tonight as the final piece of 25g cloth has gone onto the fuselage! The warm weather has helped reduce curing times with the resin - and that combined with some well spent holiday this week has seen the glassing completed from start to finish in 3 days. All other parts are sanded down ready for primer. 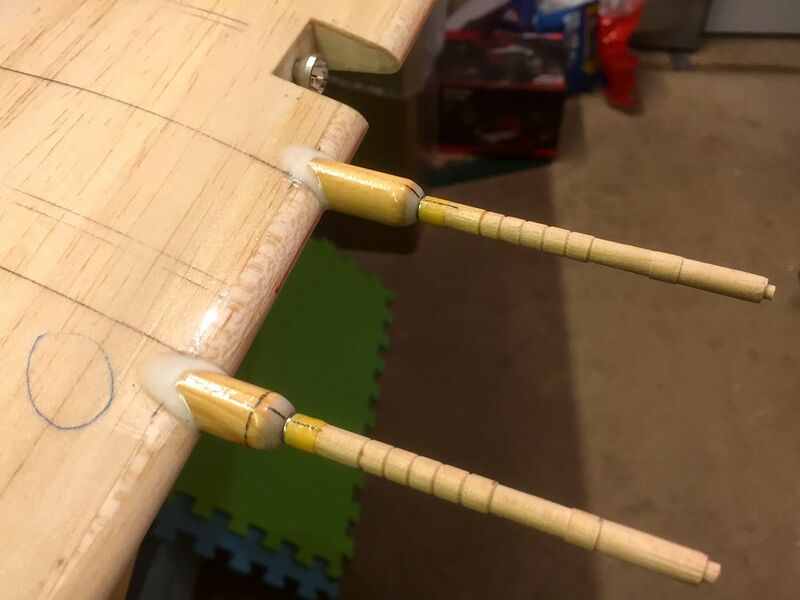 With all the glassing complete and cut back for inspection/remedy prior to primer, I've been able to start some of the assembly - gluing the cannon bases to the wing and the tail strake has been added to the lower rear fuselage. 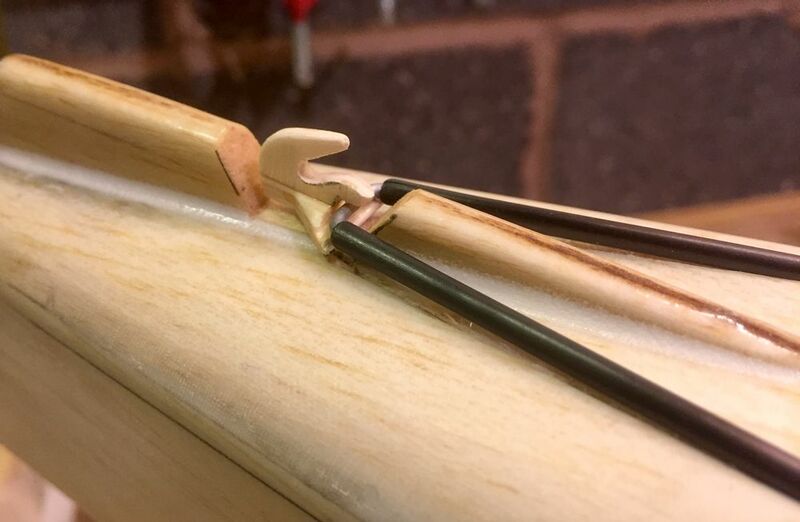 Being a Sea Hurricane my strake needed an additional recess for the tail hook stowage. The fillet is lightweight filler which was sealed with a good coat of resin once I was happy with the blend. On with the priming and sanding, priming and sanding...3 weeks to go until comp day! A couple more details added to the fuselage prior to it receiving primer. A couple of engine blisters finish the front off, individually glassed then glued on top. ...and at the back, it isn't a Sea Hurricane without an arrestor hook! 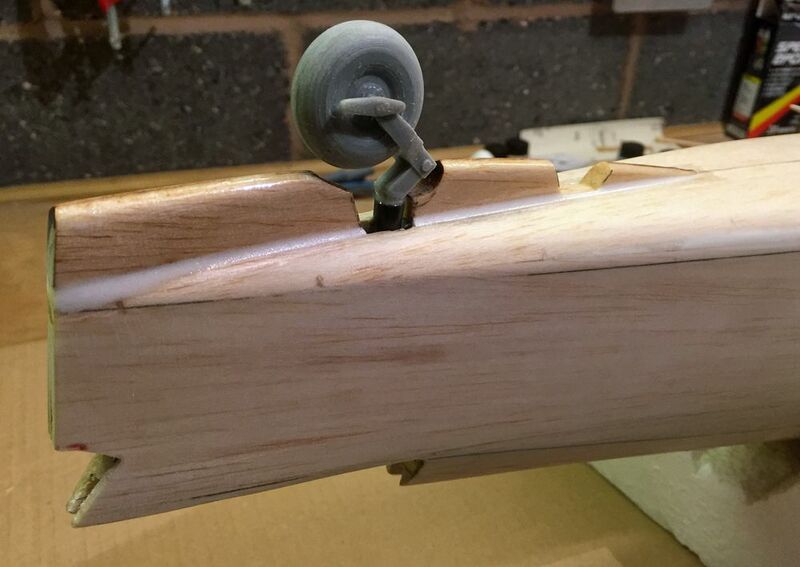 It felt awfully wrong cutting recess grooves into the newly glassed fuselage surfaces!! Flush mounted at the front with little cover doors, and sitting into the tail strake at the back. Just needs a hook feature carving out of soft ply and we are done. All this additional weight at the back eh!? 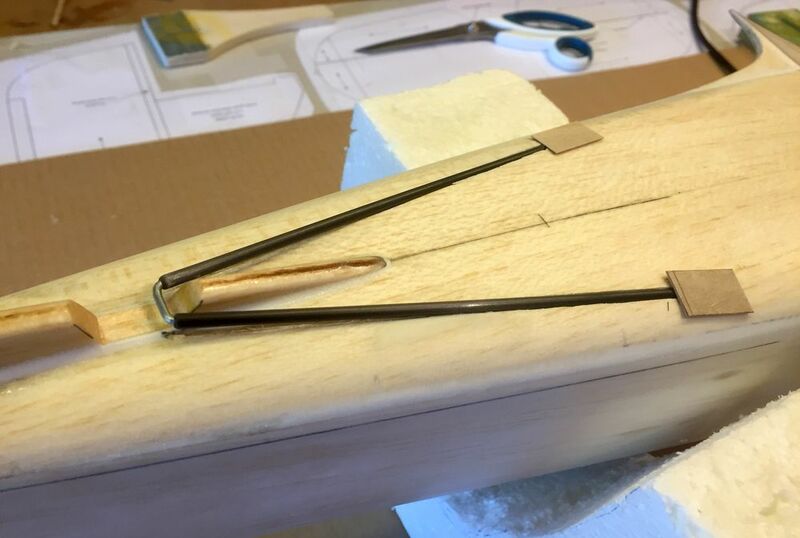 Little hook feature carved from 1/8" light ply - this will all be glued up once the fuselage is sanded back after an initial filler prime. Stunning work Phil - all very tidy. Arrester hook looks great! I am just amazed and taken aback by all the scale detail. I just wish I had the patience, but there you are. Stunning Mr Cooke. I will stick to the jokes about sheep machines in the gents, waffle abuse, and bad behaviour during inclement days I suppose - "stick to what you are good at", as my old public school housemaster used to say, "and what is that sir?" I used to reply. "I wish I knew", he would say, somewhat non-plussed. Having lost 3 out of 4 of my guns, I am planning to remake them just for static display purposes. 1 of them came off in transit, and the other 2 came off mid air I think. I never found them - word of warning. Excellent work Phil, looking really smart already. Oh, and that tailwheel is rather nice! Yes Bob the wheel is an Andy Meade print - I'm sure he'll do you one for the right price!! 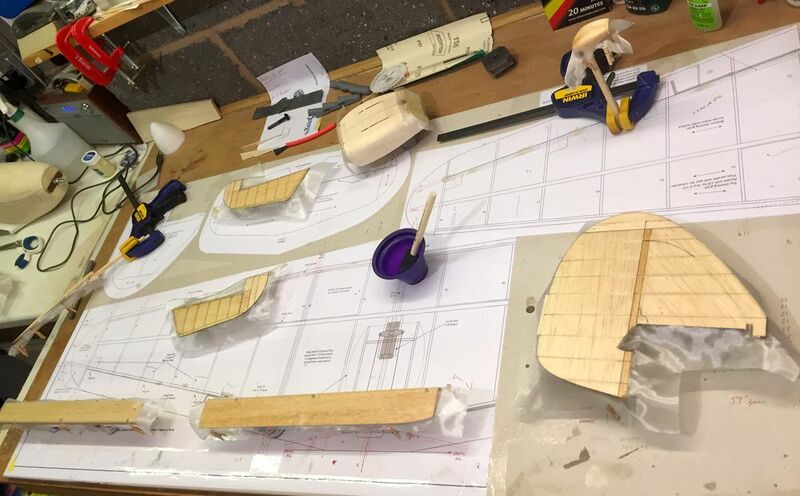 Bob I have to confess to NOT doing the fuselage longeron effect as we'd discussed at such length - to be honest I made a mess of marking it up first time round and then chickened out due to complexity - time pressures also scared me off so I ended up just glassing a bare fuselage side!! I'm due to spray my fus this weekend, so I'll post a few pics with the result. Time is cracking on.... so much to do! Or as Willie Wonka would say "So much time, so little to do....no reverse that." or to be accurate "So much time and so little to do. Wait a minute. Strike that. Reverse it. Thank you. " Well, 2 weeks tonight the car will be loaded and we'll be ready for the trip to Llandudno - still a bit to do then! I've got parts all in different stages of readiness now as I mix spraying and sanding with family life, work and the weather. 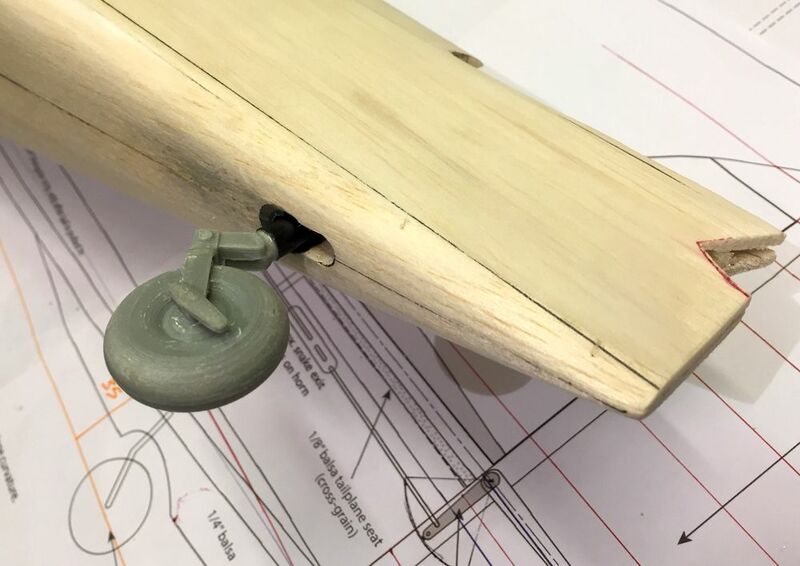 All the smaller parts have been basic filler primed, sanded back and any pin holes or surface defects have been treated with 3M red spot putty before once again being sanded back. The fin, tailplane and the underwing radiators have been finish primed in white ready for top coat. The wing is furthest behind as it was still in need of some final details prior to primer. 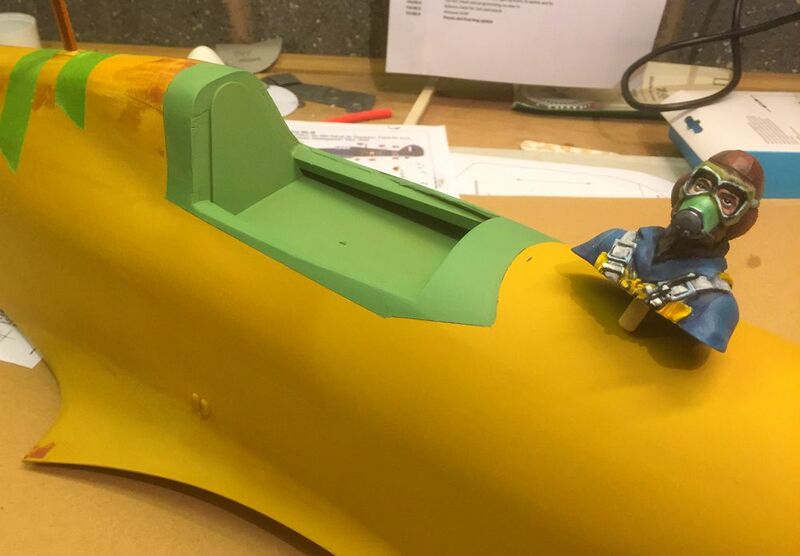 The cannon mounts got their filler and were blended into the aerofoil, then sealed with some hand painted resin. 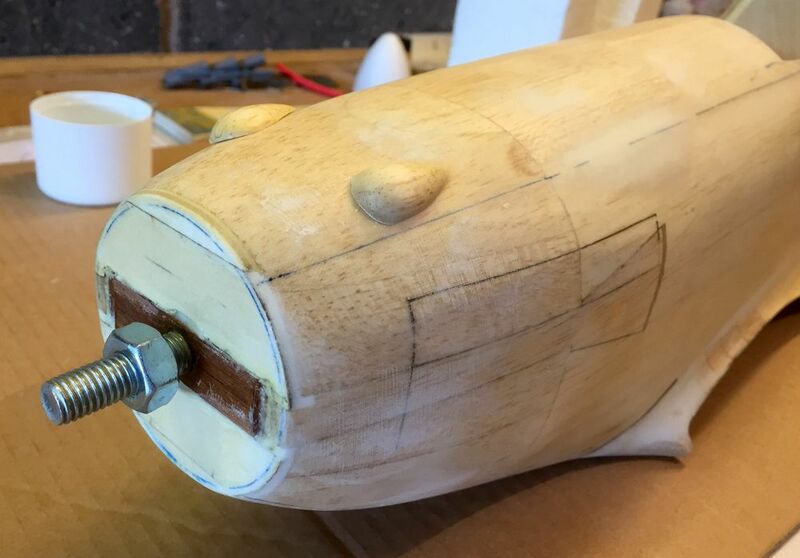 I'm working on the cannon blisters and all the other lumps and bumps on the underside of the centre section where there is a host of detail features! 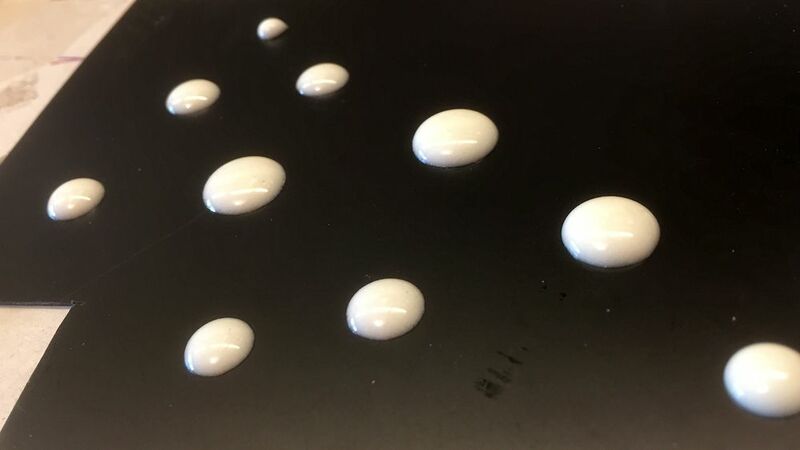 I've experimented with some 5 minute epoxy (mixed with micro-balloons) - delicately 'dolloped' onto some plasticard which creates ideal circular blisters of various diameter. 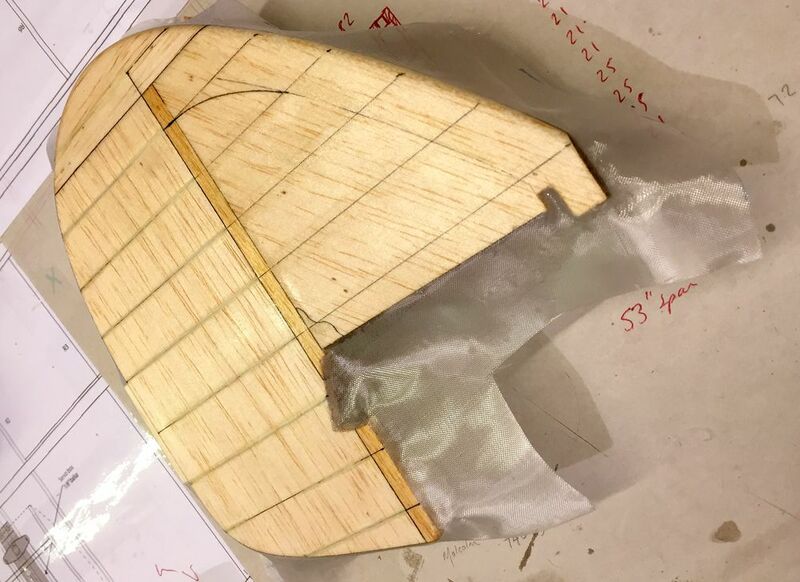 There's 4 epoxy domes used on the wing underside. 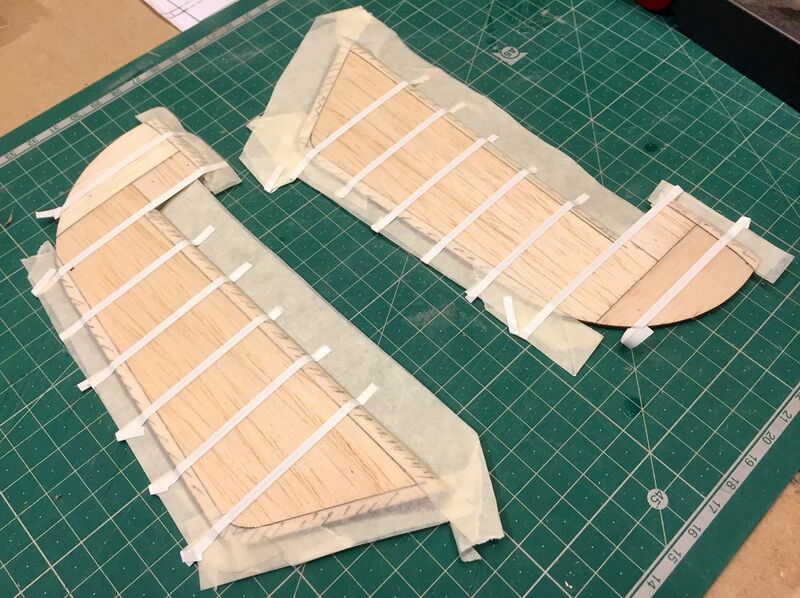 I've noticed in pictures of the full-size how proud and ill-fitting the gear door panels were on certain examples, this led me to making some gear doors from 1/64th ply and gluing them to the wing lower surface. The rads are just dry fitted here to aid the alignment and positioning of all these features as they were glued to the wings lower skin. The wing is now ready for its initial primer coat. Other than a quick trip to the Nats tomorrow - another weekend of sanding/filling/sanding lies ahead! Fun coincidence, as Willy's creator Roald Dahl flew Hurricanes and Gladiators in Greece! Well there's just 12 days to go before our weekend event on the Orme and I'm glad to say that painting and detailing has finally begun!! 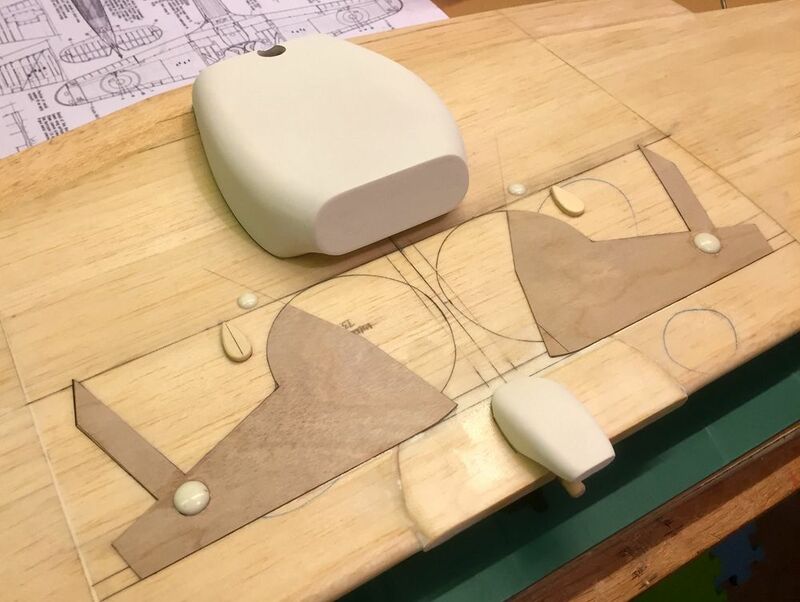 The entire airframe has been initial primed, sanded back, pin holes and other defects remedied with 3M putty filler and the majority of parts are now in final primer awaiting top coat. The fuselage and wing both have some detail work needed before I can finish prime, cockpit, canopy, radiators, L/E light mounts etc. 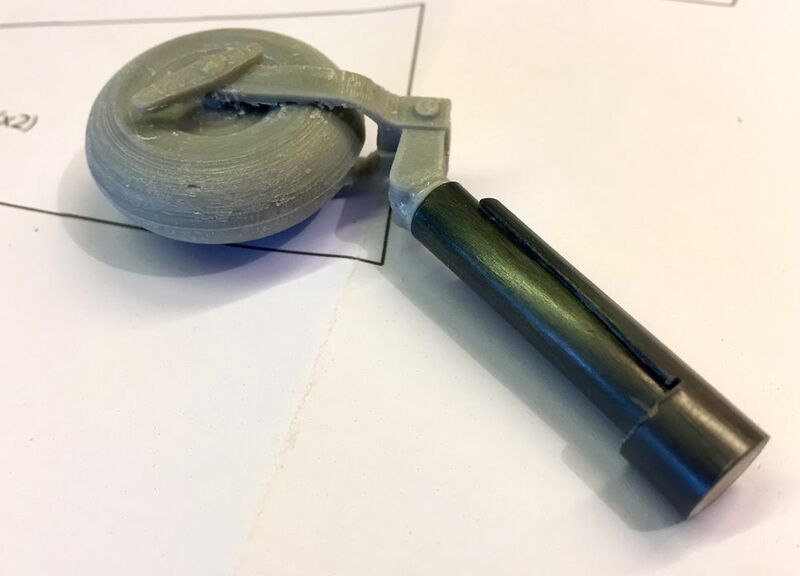 Tonight the cockpit was dusted down and received a thick coat of matt pale green, the pilot was dowelled ready for mount and I've spent some time printing out a suitable dashboard. I still need to make some form of gun sight. 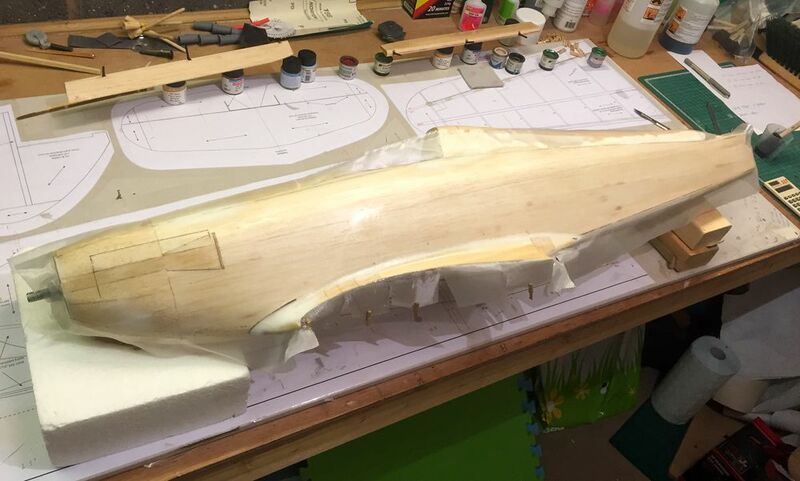 With any luck, end of play tomorrow should see the canopy glued down and masked ready for the finish primer on the fuselage... everyday counts now - WHY OH WHY do we leave it 'till last minute!! ?